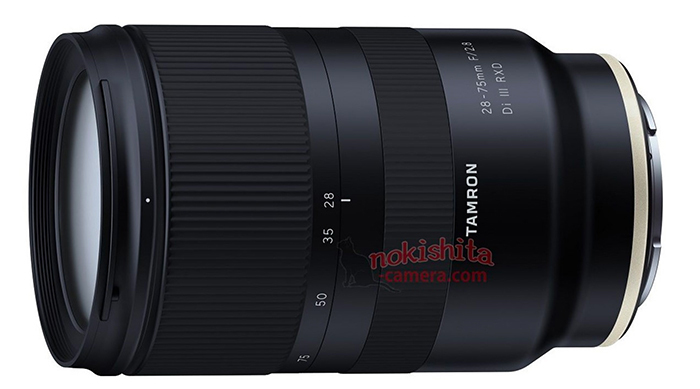 (SR5) First leaked image of the new Tamron 28-75mm F/2.8 Di III RXD FF E-mount lens for Sony! Our source was spot on and indeed this is the first image of the new Tamron 28-75mm F/2.8 Di III RXD Full Frame E-mount lens for Sony! It should be announced on February 22. This is the first non-Sony FE zoom lens. Tamron was also the first third party lens maker launching an 18-200mm APS-C E-mount zoom (here on Amazon US, Amazon DE). previous post: First image samples shot with the new Sony 400mm f/2.8 OSS GM FE lens!